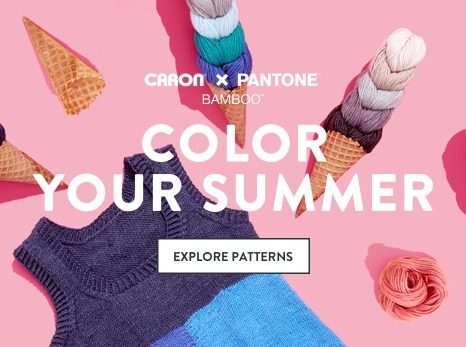 Take your stranded knitting to the next level and make a bold and colorful knit hat using multiple, expertly curated Caron x Pantone braids. 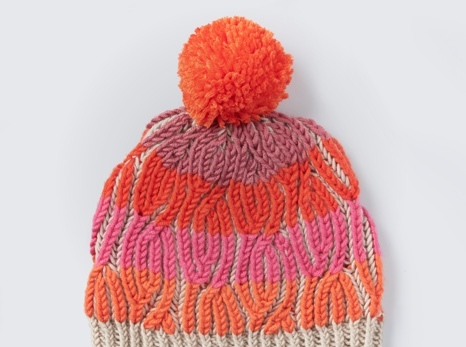 This bold and colorful knit hat is great for knitters looking to take their color work skill up a notch. 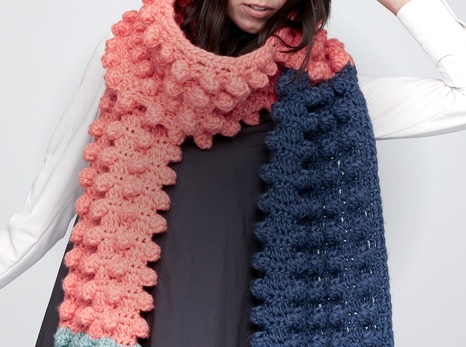 Working fair isle knitting, circular knitting and two-color ribbing that transitions into checks and chevrons you’ll get to not only test your knitting skills but, also experiment with color!